Just look at it. It looks awesome. Its the first phone with a notch from Nokia and it sold like hotcakes when it launched exclusively in china. HMD global is going to release it in other countries as well. This will make a very good device with good quality hardware and software. Let’s see how you can take a screenshot or screencapture on Nokia X6. Step 1: Enter the App Screen or home screen which you want to take a screenshot on your Nokia X6 phone. Step 2: Press the Volume Down button and the Power/Lock Button at the same time and release it after a second. Step 3: You will see a screenshot notification which indicates that the screenshot has been taken successfully. Step 4: Tap the screenshot notification and you will be taken to the screenshot directly where you can edit and share it on social media or email or messages. Step 1: Go to the appscreen which you want to take a screenshot. Step 4: The screenshot will be saved on the Photos/Gallery app. 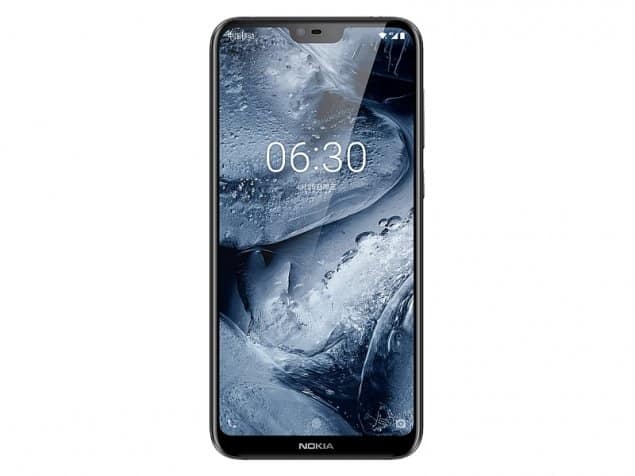 Nokia X6 smartphone comes with full HD 5.8 inch IPS display panel with a resolution of 1080 x 2280 pixels along with a notch like the iPhone X. The display is protected by Corning Gorilla Glass 3.It is powered by Qualcomm SDM636 Snapdragon 660 CPU with a Adreno 509 GPU. It comes with 4GB RAM or 6GB ram options and 64GB of internal storage which can be expanded up to 256GB with SD cards. It has a dual 16MP + 5MP rear cameras. It has a non-removable 3060 mAh Battery . It runs on stock android 8.1 oreo. It is available in both single SIM and dual SIM variants. Let us know if you where able to take screenshot successfully in the comments below.